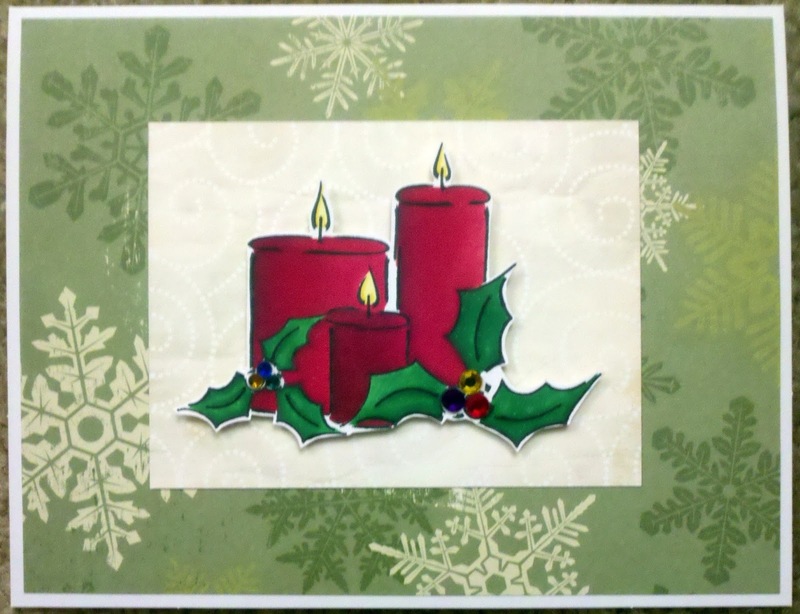 Kards by Katie Kreations: Busy, Busy Weekend! 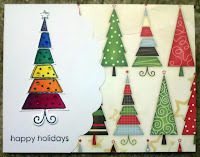 For the first card I used both the Bo Bunny design paper and matching clear stamp for the tree. Once colored with my Copics as a rainbow it just took a few same colored gems and a little star at the top and the card was done. It actually looks much cuter in person! 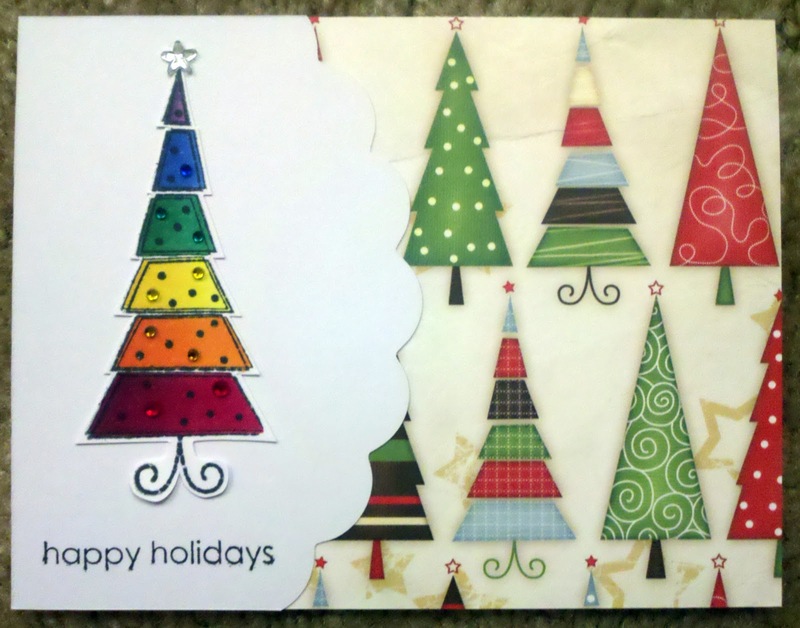 Second card I used the berries on the holly to do my rainbow, and as always, a little bling is always a good idea :) Some Making Memories Fa La La La design paper and the base of the card was done...not to difficult. The last set of cards are just general Christmas cards. 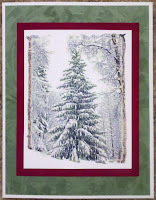 I found this digital tree stamp from Gingerloft.blogspot.com and it's just so pretty! I took some muted Copic greens and brown and colored it in lightly. 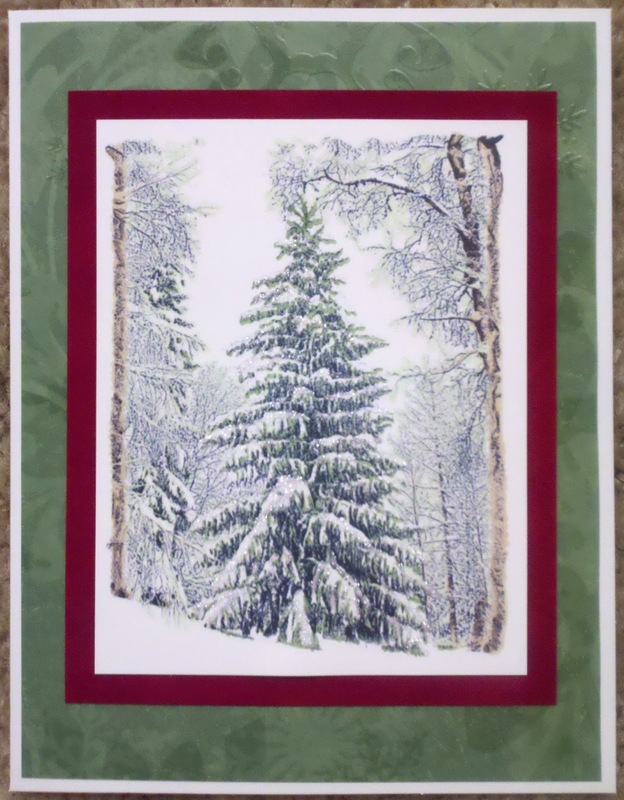 Then I used a little stickles in Frosted Lace for the snow on the boughs of the tree. It makes such a gorgeous image. 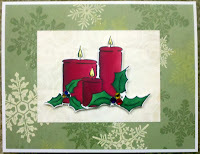 A little red suede paper from JoAnn's to mat the image and some more of that Little Yellow Bicycle green snowflake paper and it was complete. So, a successful weekend of work, here's hoping I start feeling better because my 9-5 job starts bright and early tomorrow morning!